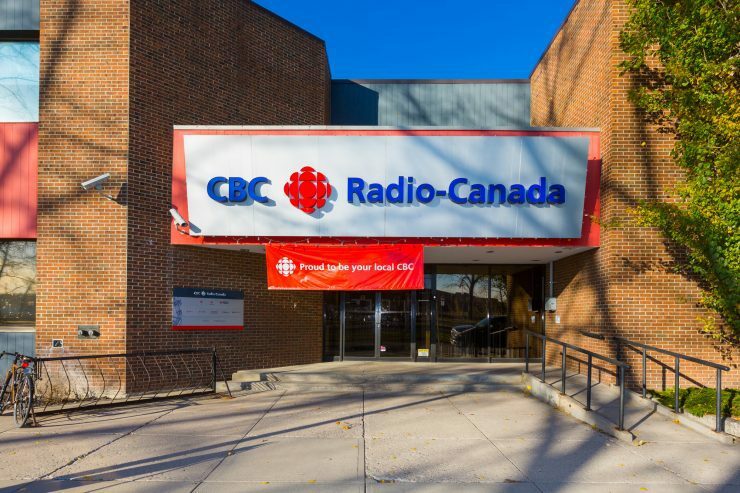 CBC will reduce some supper-hour newscasts but increase its presence in Fort McMurray and Quebec’s Eastern Townships. In June, CBC-Radio-Canada announced our new strategy – A space for us all. An important part of the strategy is local services becoming even more present in local communities. Today, we are sharing several programming details in this on-going process. At the centre is a move from one screen to many screens, increasing the local touch points we have with Canadians in each of their communities, and offering a comprehensive local news and information service across the day on all four platforms – mobile, web, radio and TV. In fall 2015, CBC English Services will introduce new services specifically for mobile users and we will strengthen existing desktop and web services, already the number one choice of Canadians for news on digital. These new initiatives will include local breaking news alerts and updates from wake-up until bedtime, added depth and context specific to individual preferences or location, and live-to-mobile/desktop coverage as circumstances warrant. The schedule and duration of our local radio programs, many already leaders in their markets, is untouched. On television, we will be offering local content throughout day, beginning with broadcasts on television of our local Radio One morning shows on TV (6-7 a.m.). We will introduce local hourly news breaks during the day and through prime-time. Over the supper hour period we are reducing our concentrated footprint of 90 minutes (5-6:30 p.m.) to either 30 or 60 minute newscasts starting at 6 p.m. (local times) in all existing television markets. The base plan for all markets is set at 30 minutes, with exceptions made where there is a positive business case to be 60 minutes. The 30 minute supper hour programs will be in: Calgary, Edmonton, Regina, Windsor, Montreal, and Fredericton. 60 minute supper hours will be in: Vancouver, Winnipeg, Toronto, Ottawa, Halifax, Charlottetown, St. John’s. The hour in the North will be 30 minutes in English and 30 minutes in Inuktitut. We will create newsgathering capacity in Fort McMurray, Alberta and increase our newsgathering presence in Quebec’s Eastern Townships. Both will file to all four platforms – mobile, web, radio and TV. We will maintain, and in some cases grow, our spending in local investigative journalism. This is not just about changing the length of supper hours, this is about changing how we serve the audience. It is transforming our concentration in communities from mainly over the supper hour, to a comprehensive, four-platform local news service — across the day and on demand. Your local manager has more details about your specific location. Visual storytelling is still important and we will need to consider new ways to assign, news gather and tell stories on screens from 80” to 2” in size. Mobile and desktop/web offers new platforms and opportunities for storytelling as well as exchange and engagement with the audience. With this change, we remain committed to preserving and strengthening our journalism, consistently delivering breaking news, depth, context, enterprise, investigative, and innovation in storytelling — these are the bedrocks of our strategy. The ways we connect with our audiences will keep evolving. Our commitment to quality journalism and local communities remains steadfast. We need your input and ideas. It is critical to our success. We have already rolled out employee “best thoughts” groups across the country. They have produced several innovative ideas. Working groups, with employee participation, will now be tackling mobile first/newsgathering, programming, and community impact. Their work will begin in January. Other groups will make sure the action plans are grounded and realistic. We’ll be looking at assignment and workflow in a mobile first environment. We’ll have a collection of training initiatives over the winter, spring and summer. As we make this transition, it will not always be easy. Since the beginning of this process, we promised to keep you updated and be as transparent with as much information as possible. We are planning in the open. I am available for your questions and conversations with local teams, along with members of my senior team. In the New Year we will be traveling across the country to hear your thoughts in person. Thank you again for your commitment and professionalism.